Tumbling lessons are an excellent way to develop strength, flexibility, discipline and teamwork while having fun and improving your kinesthetic senses. 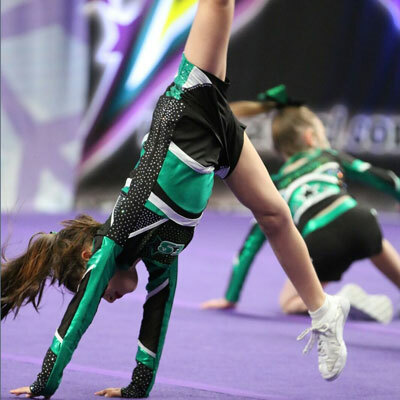 It assists athletes to building confidence, co-ordination and fitness skills, which is why we encourage all our cheer athletes to attend a tumble class. You can join tumble as your only program or as an additional program. Our tumble programs start from 2yrs of age in our PreSchool Tumble class to adults in Level 1, 2, 3 & 4 and we also have private sessions available.